Ever since J.K. Rowling become famous for her Harry Potter books, the world of Witches and Wizards has become more popular than ever, and today, there’s loads of Video Slots themed around the Pagan traditions. 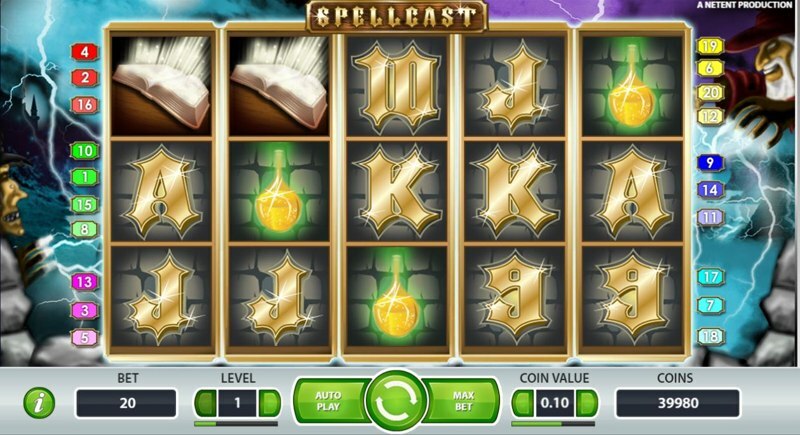 With popular games, such as Merlin’s Magic, and the Pig Wizard attraction millions of players a year, Net Entertainment decided they’ve up the ante, and release one of their own magic-themed slots – in line with today’s technical advancements – and the result of this is Spellcast. 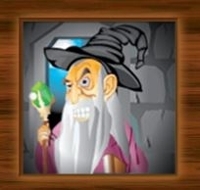 Spellcast is a Video Slot from Net Entertainment, featuring all around the wicked, wild, and evil world of witches. From mixing up vicious potions, to bewitching opponents, this spooky-themed game is one of the most graphically-unique we’ve seen from Net Entertainment in a long time, and that’s thanks to the way in which the symbols are displayed. 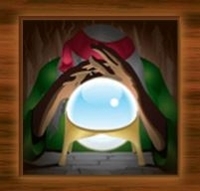 Spellcast uses 5-reels and 20-paylines to deliver an exciting gaming experience to players, and the backdrop features a scary-looking Wizard on the right-hand-side, with a frail, cursed ‘peasant’ on the left-hand-side. The reel symbols include traditional playing-card symbols, 10-Ace, and the game specific symbols include a Wand, a Book of Spells, a Glowing Yellow Potion, a Witch tendering over her Bubbling Cauldron, and a Spooky Mansion. The special symbols in Spellcast include a Crystal Ball, which acts as the scatter symbol, and the Wild Symbol is displayed by a cartoon-like Wizard. Spellcast is available to play on desktops, laptops, and mobile devices, and most modern smart phones and tablets will have no issues running the game. So long as your Internet connection is semi-reliable, and as long as you’re not one of those people insistent on still using an iPhone 4… you should be able to run the game without any troubles whatsoever. The Wild Wizard symbol doesn’t do anything particularly unique, and he functions just like any other wild you’d see in a Video Slot. He substitutes for all wins, aside from the scatter symbols, although one thing you’ll want to look out for, is the cool, and quirky animation his eyes do, when he helps make a winning pay line. The sole bonus-round within Spellcast, the free-spins bonus is triggered by landing three, four, or five of the scatter symbols anywhere in view; they don’t need to be on an active pay line, and don’t need to start left-to-right – anywhere in view is good enough. Once you manage to land the scatter symbols, you’ll be awarded with 15 free-spins, and during the bonus, all your wins will be subject to a 3X multiplier. Unfortunately, you won’t find any sticky wilds, wild reels, or anything like that, but you will notice the Wizard Wild making a more regular appearance, and best of all, you can re-trigger the free-spins by simply landing another three, four, or five scatter symbols anywhere in view. OK, so it’s not the most exciting bonus-round we’ve seen from Net Entertainment, but thanks to the low-volatility of the game, Spellcast is ideal for players wanting regular action, without having to wait hours on end to hit a bonus feature.